I’ve been obsessed with bicycles my entire life. The day I was old enough to have working papers, I was fortunate enough to get a job working at a local bike shop. Before I knew it, I was building, repairing and selling high end bicycles. I even started racing and riding bikes with guys twice my age on the weekends. Fast- forward 12 years and bicycles are still a huge part of my life; having worked in a number of shops as well as a few manufacturers including Van Dessel Cycles, High Gear Cyclery, The Sports People and Old Spokes Home (to name a few). Towards the end of 2009 I decided to launch a brand & cycling blog, Culture Cycles. The site quickly grew with over 20,000 monthly impressions towards the end if its first year! Not only has the site helped me learn about Wordpress, HTML/CSS, SEO, branding and social media, it’s also helped me develop skills offline; particularly event planning and brand ambassadorship. With the help of a few close friends, we coordinated two annual cycling events in Vermont: Monster Mash and The Herringbone Tweed Ride. Monster Mash being a Halloween-themed alleycat while The Herringbone is a leisurely ride around the greater Queen City, with pauses for history lessons, tea and inner reflection. 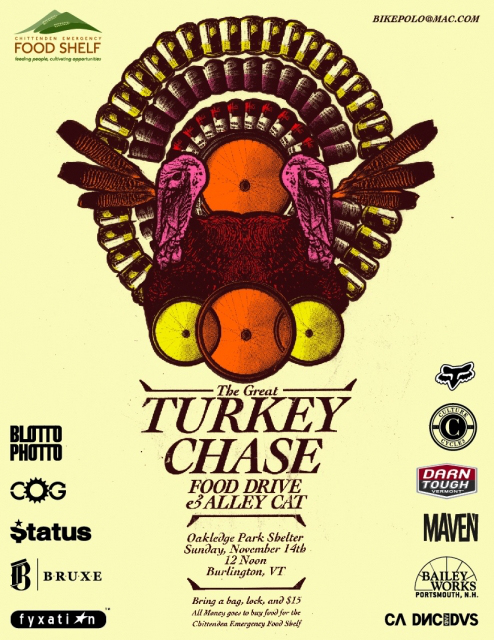 Both events have become staples among other annual cycling events in Vermont, including The Great Turkey Chase - an alleycat food drive that has been sponsored by Culture Cycles for 4 of the 7 running years, and The Mad Dashes - a winter roller-racing event co-conspired with The Old Spokes Home. Not only has the site and brand made it possible to throw some amazing events and try out the latest gear, it's also brought me to a number of industry trade shows, including the NAHBS - The North American Handbuilt Bicycle Show, where I'm invited as media each year (attended NAHBS Denver as media in 2013).